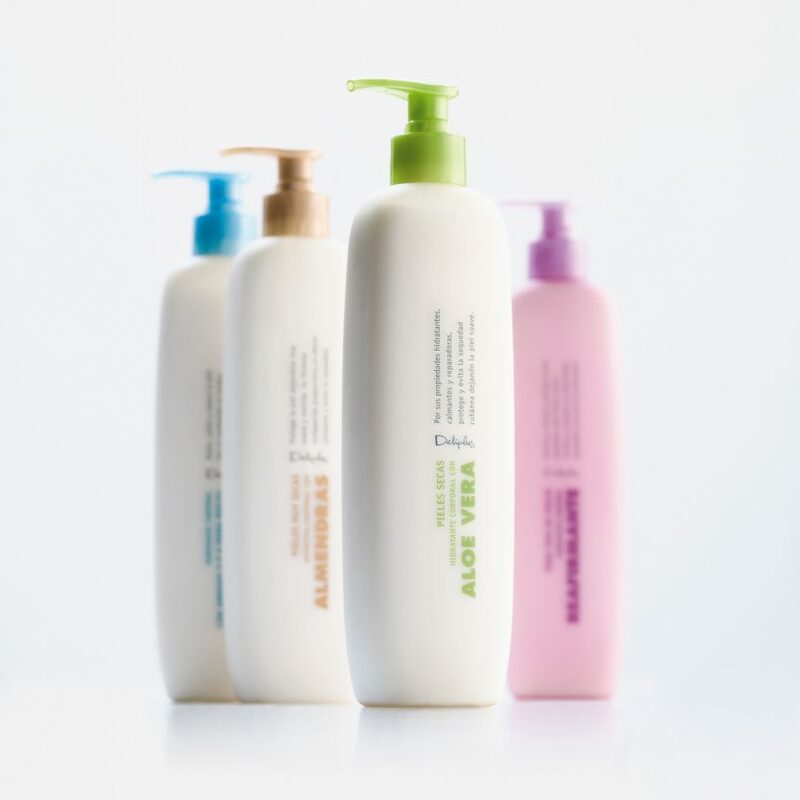 We designed the bottles and graphic for the body milk line at distribution chain Mercadona. 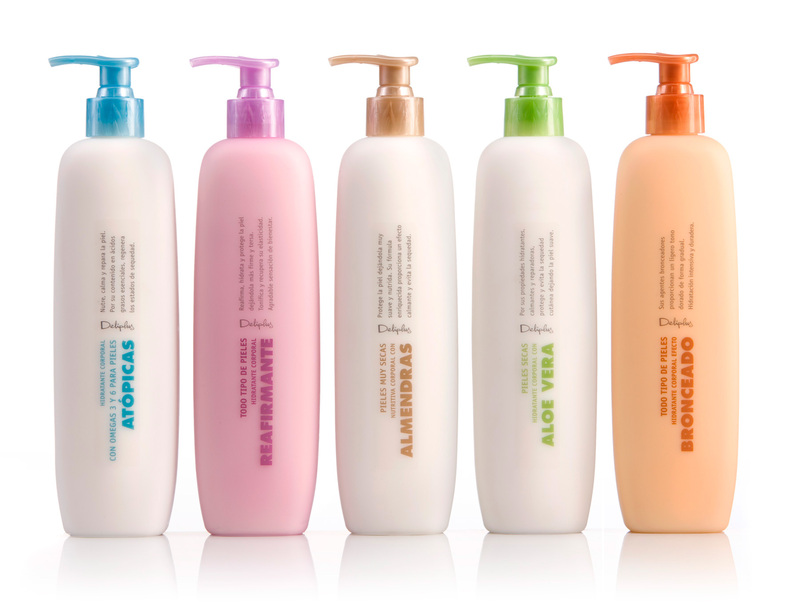 The bottles (400ml) are made of blowed coloured PE, with a translucent soft-touch finish. We looked for soft and rounded shapes, nice to touch, and a simple but powerful graphic design.